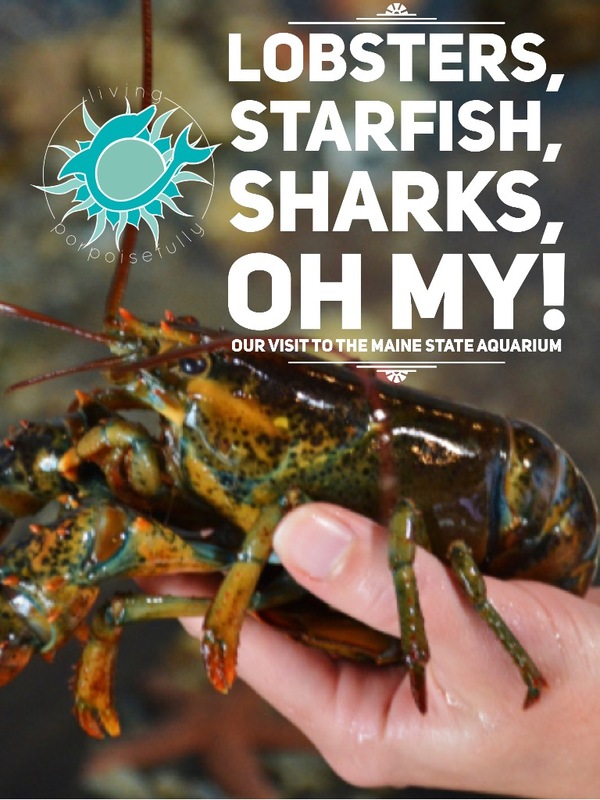 We had such a fun, interactive experience at the Maine State Aquarium in Boothbay Harbor on our trip to Maine — a true ocean-on-land. A highlight on our trip to Maine, the Maine State Aquarium was the perfect addition to a day exploring Boothbay Harbor. After seeing animals in their enclosed habitats, we moved on to where you can touch, hold, and handle countless animals! This was probably the most exciting part of the visit, and the aquarium does a fantastic job offering this interactive experience within their small floor plan. The sharks were seemingly enjoying the interaction too – there was one in particular that kept begging for attention! The aquarium staff was genuinely enthusiastic about sharing the ocean life with us, which made it even more engaging. When you’re finished inside the aquarium, there are a few kid-friendly interactive exhibits on the deck outside, and a beautiful picnic area on the waterfront. Bring a lunch or just enjoy the beautiful view! We hope you enjoyed the peek into the Maine State Aquarium and will stop by to experience it for yourself. There’s nothing like getting a face-to-face experience with ocean life! Want more ocean-on-land? Check out our experience of the Georgia Aquarium here. Previous Post Feed Your Inner Marine Biologist!